When summers approach, people rush to install air conditioners in their place. It is worth installing an air conditioning unit at your place, as it provides you with perfect cooling solution in the hottest summer days. Moreover, it also maintains a low temperature that is also used for internal cooling in numerous organizations, houses, shopping centers, railway stations and airports. 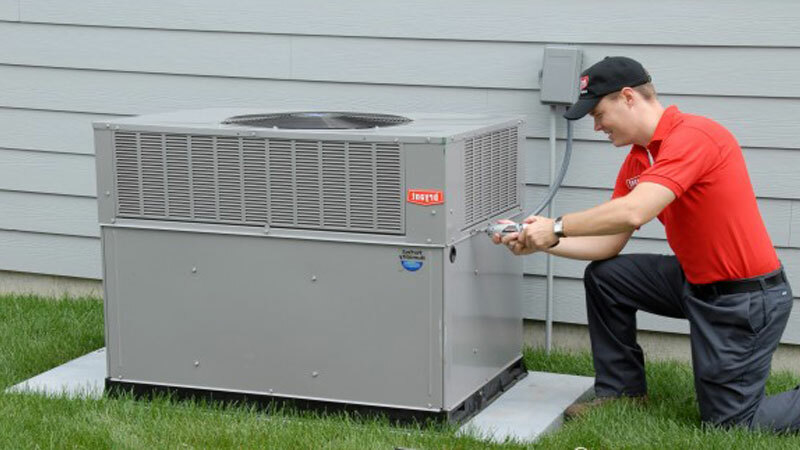 First, you have to clean your condenser coils to make your air conditioners working in a perfect condition. Air condensing coils are an important part of the air conditioning unit and they need weekly cleaning. You may need to check the performance of these condensing coils. These condensing coils work perfect when taken care and cleaned properly, on a weekly basis. Therefore, try to take care of this part of your air conditioner. Your compressor capacity is known as ampere capacity. This should be checked in order to make a guess about your compressor performance. You must know that there is a fan motor inside your air conditioning unit. You also need to know that your fan motor works on coiling that should also be checked from the ampere capacity. Another important step for the maintenance of your air conditioning unit is to check its coolant level. An AC works best when it has an average level of coolant; otherwise, you would be dealing with an expensive AC unit that could be handy. Moreover, if your coolant or Freon level is high, it can cause problems that can damage the ozone layer. So, it is advised to use alternative refrigerants in order to keep your atmosphere clean. There is a proper law that deals with the usage of Chlorofluoro carbons (CFCs). Good filters have similar job in an air conditioning unit as heart in our body. It filters dust and other useless materials and make the internal process of the AC clean. If you have a proper management over these filters and you think that these filters should face a replacement, you should replace them immediately. It is good to protect your air conditioning unit from further maintenance by replacing your filters at the right time slot. Is your External Unit safe? It has been seen that most of the people try to clean out their internal air conditioning unit, while they completely neglect the external part of it. It is pretty much imperative to know that the external part of your AC should be placed in a safe condition. Moreover, try to place it at a height where the air level should be substantial. By focusing on these simple tips, you can easily maintain your AC to work in a perfect condition.